In an era of gaming wherein virtually every game that releases has its own expansion pass, a number of season passes, or even the hotly-debated loot boxes, it can seem difficult to feel as though we are truly receiving our money’s worth when we shell out sixty bucks or more for a new release. Gamers are becoming increasingly trepidatious of any game that announces a paid pass for additional content, especially when some of it seems as though it should have been in the game in the first place or, worse yet, is literally already coded into the game but simply locked until the requisite DLC pass has been purchased. While there have certainly been a number of AAA titles that have contributed to the current foul taste in the gaming community’s collective mouths with regards to these passes, myself included, there have still been those which give me hope for the future and keep me purchasing them at the time that I pick up their respective main title. Last holiday, Nintendo and Monolithsoft released the latest entry in the developer’s long-running Xeno series, Xenoblade Chronicles 2. The action JRPG was well-received and garnered praise for its beautifully animated visuals, challenging gameplay, and charming storytelling, and came right out of the gate with the option of purchasing a corresponding expansion pass that promised regular content drops and an add-on to the game’s story within the next year. Admittedly, when I bought the pass, alongside a gorgeous collectors edition of the game, I was a bit skeptical. The pass’s description offered little in the way of detail as to what players should expect for the content. But I had been a fan of Monolithsoft’s work for years, having fond memories of their Xenosaga and Baten Kaitos projects for the PlayStation 2 and Nintendo GameCube, respectively. And while Xenoblade Chronicles and Xenoblade Chronicles X weren’t initially my jam, I still recognized and had great respect for the quality of Monolithsoft’s work. The Xenoblade Chronicles 2 expansion pass quickly put my fears to rest, as they immediately began rolling out bonus items and numerous side quests on a regular basis, also adding more of the game’s “Blades” to the already large roster of bindable living weapons. The content was consistent, so much so that I had at one point completely forgotten all about the promised story DLC. When the developer announced that details regarding the narrative content could be brought to light in the coming months I was excited but still unsure of what to expect. In truth, I was more or less expecting some post-game story content in some form or fashion that would further wrap up the main game’s great narrative, but when Torna – The Golden Country was finally officially announced I was doing headspins. Let me be clear: this is not a DLC expansion; Torna – The Golden Country is its own self-contained prequel story to the Xenoblade Chronicles 2 main game, clocking in at around 20 or so hours if you don’t count the array of side quests and other numerous completionist checkmarks. Monolithsoft thanked our support of their game with almost another game entirely, and, as such, can be played apart from the main game, with your progress in the latter having no bearing on your experience in the former – apart from some differing perspective regarding certain events and characters. That said, while you can choose to play Torna – The Golden Country either before or after you’ve completed Xenoblade 2, there will be minor or major story spoilers with respect to certain characters that you interact and travel with, so consider yourself forewarned. Torna – The Golden Country occurs 500 years prior to the events of Xenoblade Chronicles 2, during a time when the Aegis Blade, Malos, has decided to rain destruction upon the lofty, titan-riding nations of Alrest. You take command of young mercenary Driver, Lora, and her Blade, Jin, as they seek out Lora’s missing mother while also attempting to do as much good for the endangered people of Alrest as possible. Along the way, they encounter historical figures who had either received mention or heavy lore focus in the main game. One such figure of no small mention is the famed Driver of the Aegis, Addam, and his corresponding Blade, Mythra, whom you’d easily recognize from the main Xenoblade 2 game. 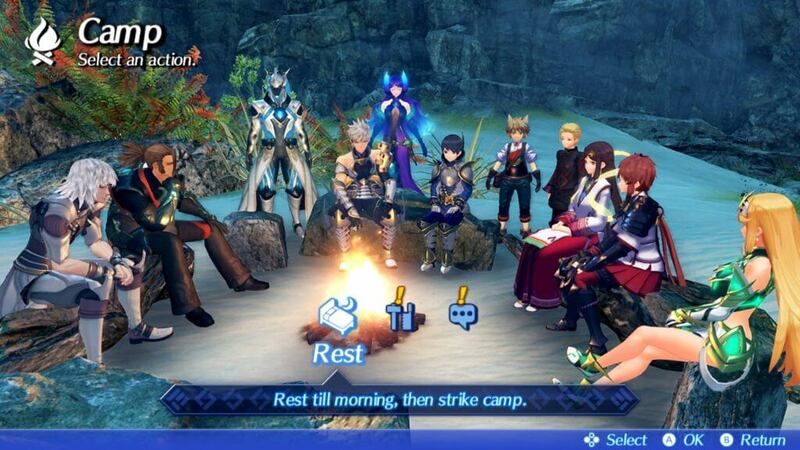 Having grown attached to my traveling companions in the main game, I was uncertain as to whether or not I would find that same attachment within my Torna – The Golden Country ensemble, but right away the quality of characters that I’ve become accustomed to seeing in Monolithsoft’s projects put me at ease. 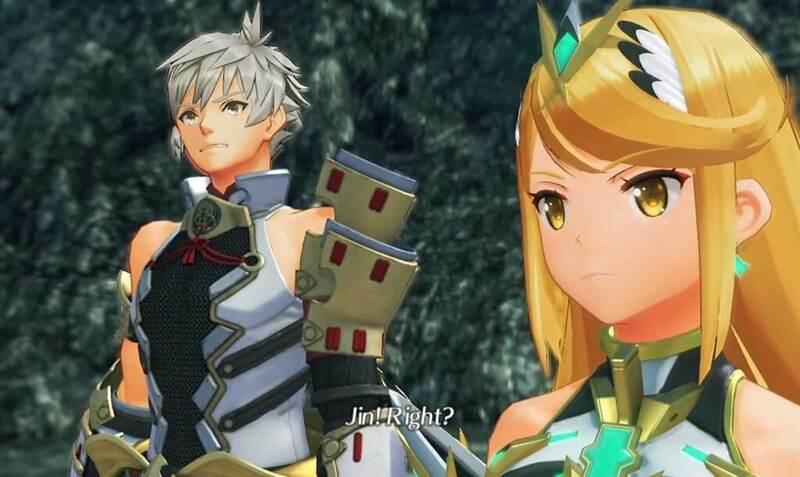 Each character in Torna – The Golden Country is entirely different in personality from one another, and even still each character possesses contrasting characteristics in their respective personalities. Lora is simultaneously meek and humble, yet confident (sometimes a little too much so) and powerful. Jin is a classic example of a stoic Japanese warrior who also possesses a gentleness to him that is emphasized early in the story; this, I believe, was done with the utmost intent of contrasting him with his main game self. A character who caught me by surprise early on, both in how he was presented as well as how much I was drawn to him, was Addam. Based on the stories told of him in the main game, I had expected a much more… serious… individual. This is not what I received, and given the contrasting personality of Jin, this was ultimately for the best. If he were any goofier, he’d be too much like Zeke, but he has just the right amount of lightheartedness and kindness to pair him well with his overly serious Aegis Blade Mythra. With regards to Mythra, who was my favorite Blade in Xenoblade 2, her stubborn and coarse personality, as is seen earlier on in the main game, is on full display in Torna, no refinement or socialization amongst other Drivers or Blades having yet occurred. This makes for a lot of fun conversations between Mythra and Addam, the royal Driver even going so far as to tell her that socializing with other Blades might add some much-needed refinement to her rough and unempathetic personality. Torna – The Golden Country adds a number of tweaks to the gameplay that those who have played Xenoblade Chronicles 2 will notice from the get-go. Combat has new features in the ability to swap control between the Driver or Blade characters in what is called the Vanguard and Rear Guard Team system. A team is comprised of a Driver and their respective Blades, and EXP and stats are shared across all members of a given team, such as Team Lora with Jin and Haze. The Vanguard character is whoever the player is currently controlling, them being the primary source of offense in battle as they are in the front position on the battlefield, while the Rear Guard is the character, be it Blade or Driver, who is in the back. Switching between Driver and Blade mid-battle is done with a simple press of the D-pad to the corresponding character on the bottom right-hand corner of the screen; for Driver characters with multiple Blades, the same input applies. There is a small recharge gauge that refills in between Vanguard swaps, but it is relatively short. Swapping control of characters goes far beyond simple changes in fighting style, as doing so automatically fills the Special Arts attacks of the character who is swapping in. Furthermore, you can receive additional bonuses in battle from swapping characters based on their respective skills and attributes, including greater ease in executing Driver Combos. This adds to the already oceanic levels of depth in the Xenoblade 2 battle mechanics. It can be daunting at first, but if you’ve already played the main game, then you’ll be fine; if not, the tutorials ease you into it fairly well. Other new features include the Community Level system, which adds a heavier focus on NPC characters than the main game had by requiring the team to complete side quests for certain NPCs before progressing further in the story and opening up new areas. This “forced side missions” feature may seem clunky on paper, but in practice, it fleshes out the world and makes players care about its inhabitants far more than if they could simply bypass it all like most other JRPGs. Instead of the inns that players would rest at to cash in bonus EXP and pass the time at in Xenoblade Chronicles 2, Torna – The Golden Country uses campfires scattered throughout Alrest. These resting spots allow you to use any acquired bonus EXP to level up your teams, as well as cook meals for temporary bonuses to your parameters in battle and craft items that more permanently raise your teams’ stats. Just as with its main game counterpart, both Drivers and Blades can be customized in gear and weapons, as well as improve Blade Battle and Field skills through the Affinity Chart system. Japanese roleplaying games tend to be hit-and-miss with regards to the quality of the localized voice acting, but Xenoblade Chronicles 2 was a cut above the rest, and the Torna prequel expansion is no exception. Each character sounds distinctly unique from the others, and the mix of British, Welsh, Irish, Scottish, and Australian accents are well-executed. 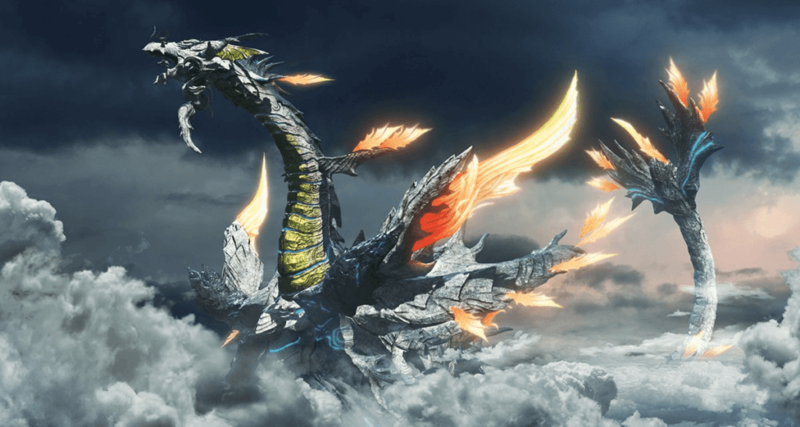 The music for Torna – The Golden Country is every bit as beautiful as its main game counterpart and adds its own folksy and ancient flair to its soundtrack. Visually, Torna maintains the clean and crisp anime-style cell shading of its predecessor, gorgeous while the Nintendo Switch is docked; however, it also suffers from the same large drop in visual fidelity when in handheld mode. Torna – The Golden Country’s story is at once heartwarming and saddening. Your perspective on this, however, is predicated upon whether or not you’re playing it before or after the main Xenoblade 2 game. Watching Jin’s interactions with other characters, especially Lora, Haze, Addam, and Mythra, knowing the dark path that his character turns down 500 years later, and knowing why he does so, is sobering, and you’re left sympathetic to his plight. While the prequel DLC isn’t required to enjoy Xenoblade Chronicles 2 in any capacity, it is without a doubt a must play. I would even encourage those who either have yet to start the main game or barely set out on their journey in it, to consider starting from the beginning with Torna – The Golden Country. Having played through it after my initial run of the game but prior to my subsequent New Game+ playthrough, I can attest that it offers a much different perspective on the events that transpire 500 years later. Monolithsoft continues to be one of the developers setting a new standard of excellence for the JRPG genre and I hope that they and Nintendo have plans of updating and bringing former entries in the Xeno franchise to the Switch; having a remastered Xenosaga Trilogy and the aforementioned Xenoblade Chronicles and Xenoblade Chronicles X available to more players would allow a greater number of them to become accustomed to the great quality for which Monolithsoft has become known. Monolithsoft will pleasantly surprise players with its length and quality for what was initially touted as a simple story expansion. Its emphasis on character relationships and setting up the events of Xenoblade Chronicles 2's story makes it far more than that, and the quality of each facet of the game is on full display from start to finish.